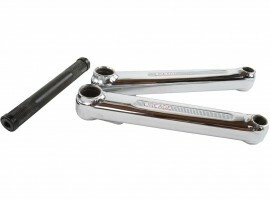 Haro Lineage cr-mo 3-piece cranks, for use with traditional bolt-on spricket / spider. This is the "Peregrine-style" graphics version. Bottom bracket is not included.